Although the classical music scene in Chiang Mai is still developing, it is finding growing support among expatriate communities of countries around the world, as well as local Thai enthusiasts. New orchestras have emerged in recent years, and are showing extraordinary potential. However, the musicians rarely have the opportunity to participate in high-profile performances, and have not had the chance to develop the confidence to perform on the level of musicians in more musically influential countries, particularly in Europe. In the 20th century, the Argentinian composer Alberto Ginastera put South America on the map in the world of classical music, paving the way for many other South American musicians to follow in his footsteps. Today, these musicians continue to inspire audiences around the world. He is known to have told young students of music that “Your music must reach beyond the country of your origin. Do not confine yourself to boundaries.” Inspired by these words, we are determined to spread the unique artistic culture of the Asian provincial city of Chiang Mai to the world, going beyond national borders as well as boundaries of culture and religion. 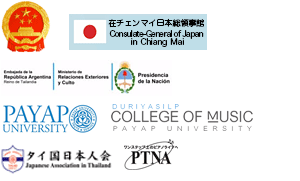 Furthermore, we invite internationally acclaimed musicians to hold world-class performances, with the aim putting Chiang Mai on the world stage. In 2016, to mark the 100th birthday anniversary of Alberto Ginastera, we held the first Chiang Mai Ginastera International Music Festival. Our first event on 2016 and the second event on 2017 were both great successes. 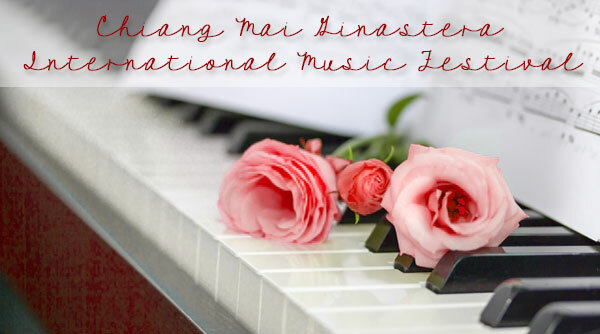 We’ve now organized the third Chiang Mai Ginastera International Music Festival and Competition occurring November 11 to 17, 2018. At the international competition, musicians will be competing not over technical skill, but for their ability to inspire and attract the audience into wanting to see future performances. 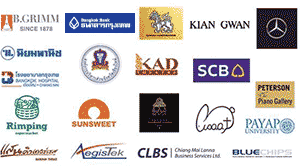 We have made it our mission to discover such new talent, specifically young musicians from Southeast Asia, and support them on their path to reaching the world stage. Words can hardly describe the charms of Chiang Mai—its natural beauty, the kindness of its people, and the joys of interacting with elephants and other magnificent animals have captivated the hearts of many. We will continue our aspiration to hold awe-inspiring events for visitors, local residents, and the participants of the music festival, and use this opportunity to show the world the charms of this truly wonderful city.